The Mostyn lineage originated from a place called Pengwern not far from Llangollen. Via a series of highly successful medieval marriage alliances to a number of heiresses this family gradually acquired five courts and their associated landed powerbases which were scattered throughout the counties of north Wales. Thus, Pengwern in Denbighshire was joined to Mostyn in Flintshire, Trecastell and Tregarnedd in Anglesey and Gloddaith in Caernarfonshire. 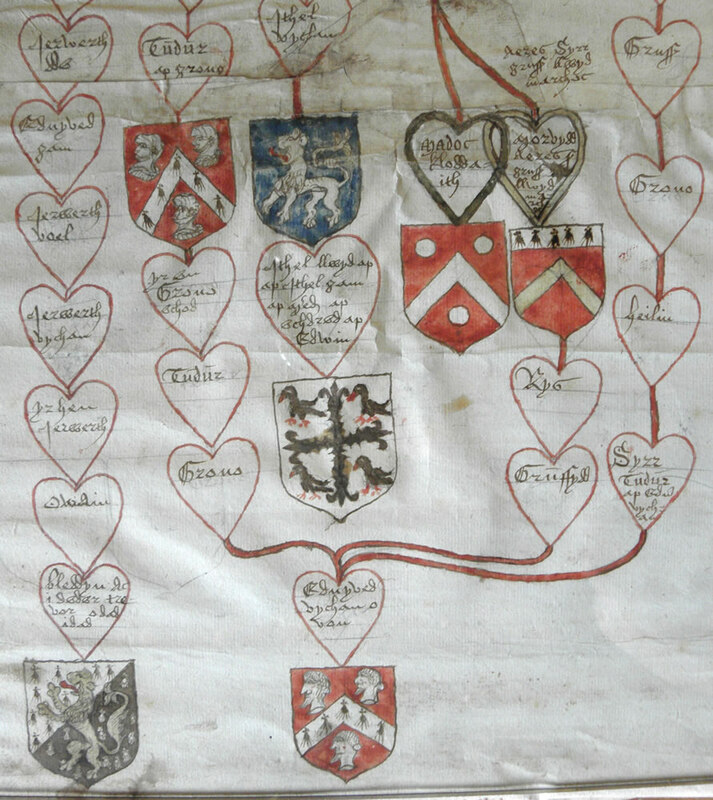 Thomas ap Richard ap Hywel (c.1490-1558) was the first member of the family to inherit all five of the courts on the death of his father in 1540. The courts provided him and his successors with a large, distinctive and enduring landed interest across north Wales which provided the foundation for the family’s power and influence for centuries. Mostyn in the parish of Whitford and county of Flintshire was evidently conceived as the most important of his five courts – it was certainly the largest in terms of acreage – and following the death of his father Thomas ap Richard ap Hywel gradually adopted ‘Mostyn’ as his family’s name, becoming Thomas Mostyn – the first Mostyn in every sense of the word. His younger brother Piers also assumed the ‘Mostyn’ surname, establishing a successful cadet branch of the family at Talacre in the parish of Llanasa.